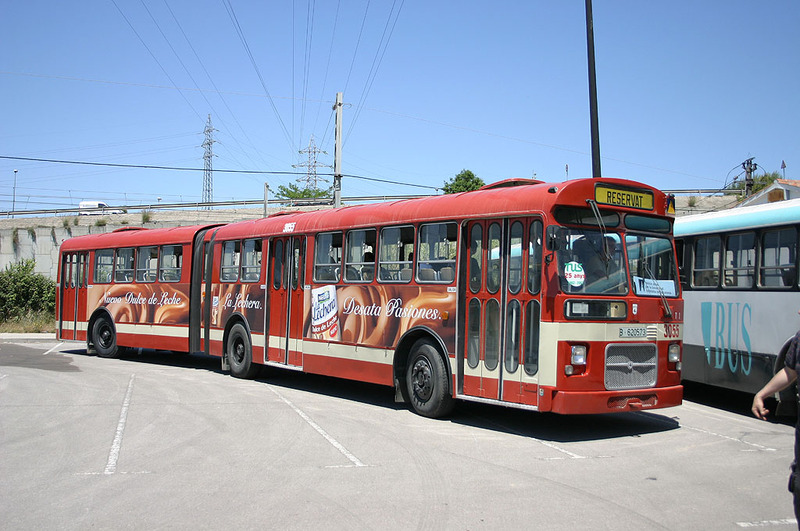 Former owner: S.P.M. 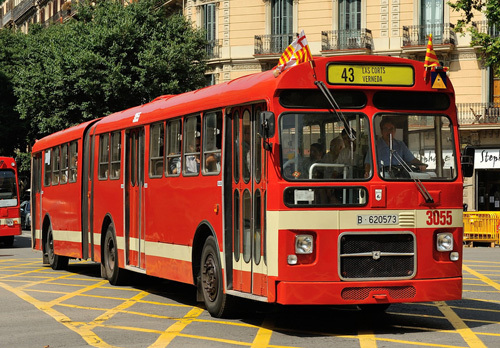 Transportes de Barcelona. 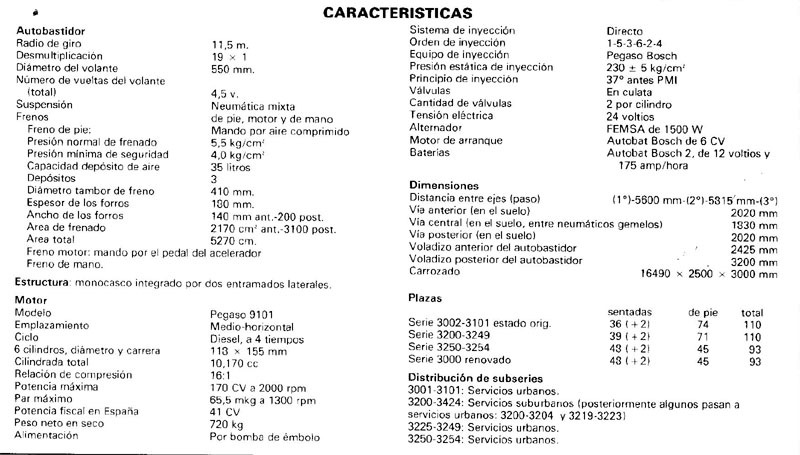 Bodywork: Noge (from 1978), originally Hugas. 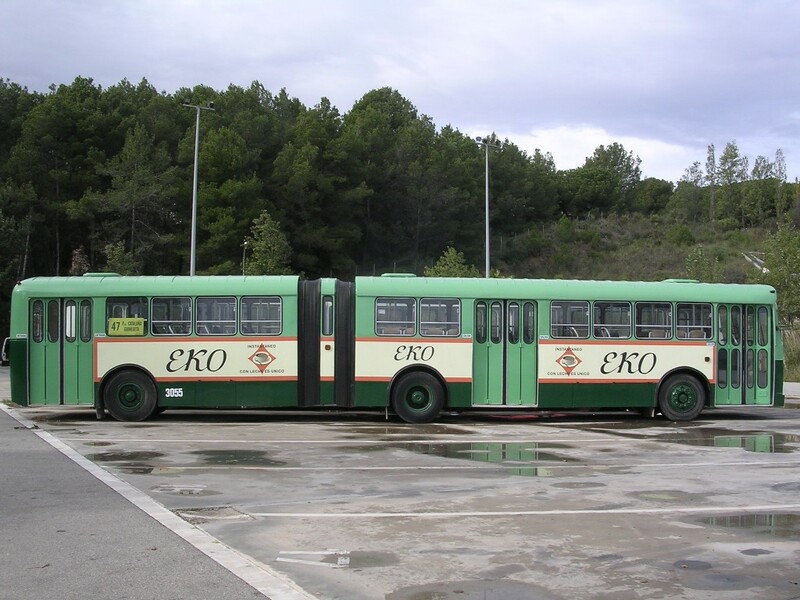 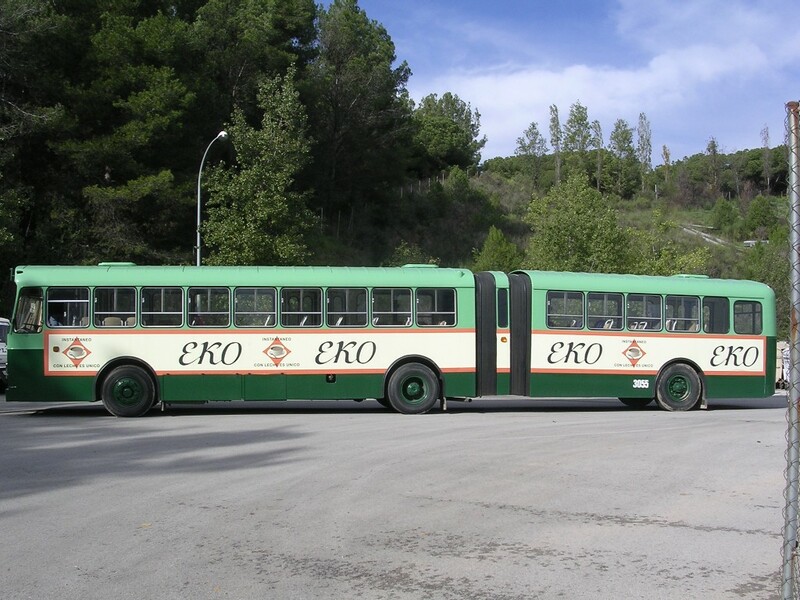 This bus belongs to the first series of articulated buses received by TB (Transports of Barcelona) numbered 3001-3101 dating from 1967. 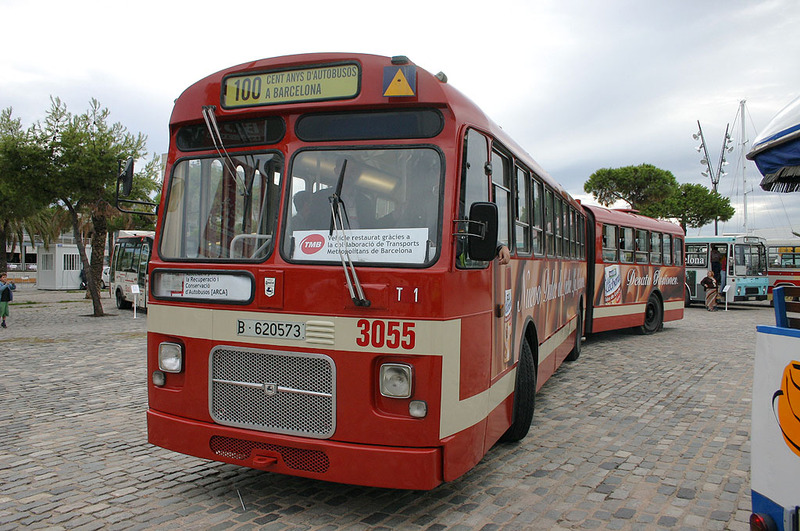 The buses from these series were based on the prototype numbered 2001 (renumbered as 3001). 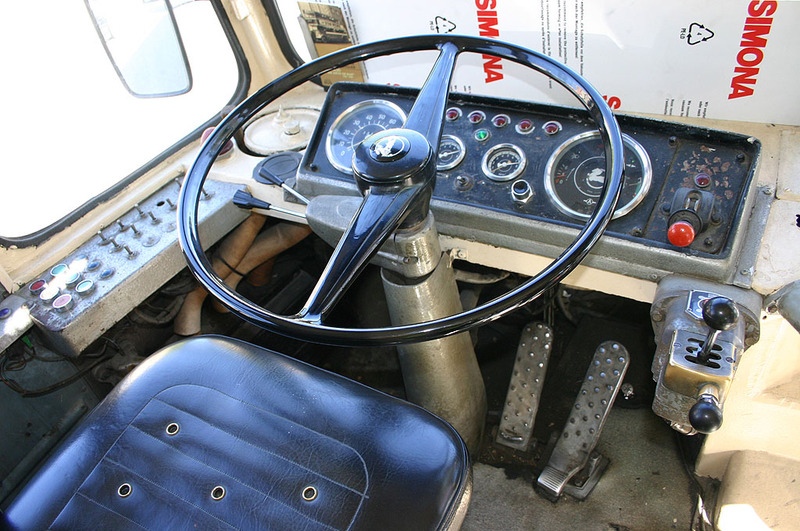 Many vehicles were refurbished in a process begun in 1977, by which their structure and body were renewed while mechanical elements were kept . 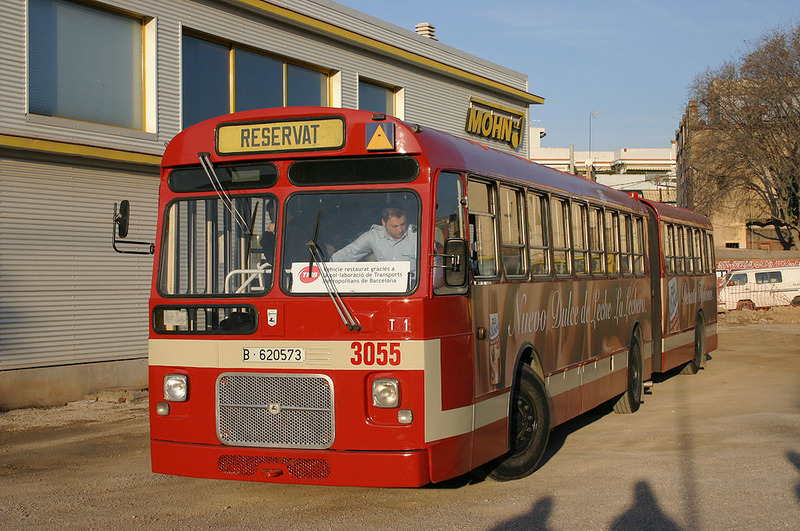 They continued service in Barcelona until 1993 with their cousins from series 3200-3264 built in 1975. 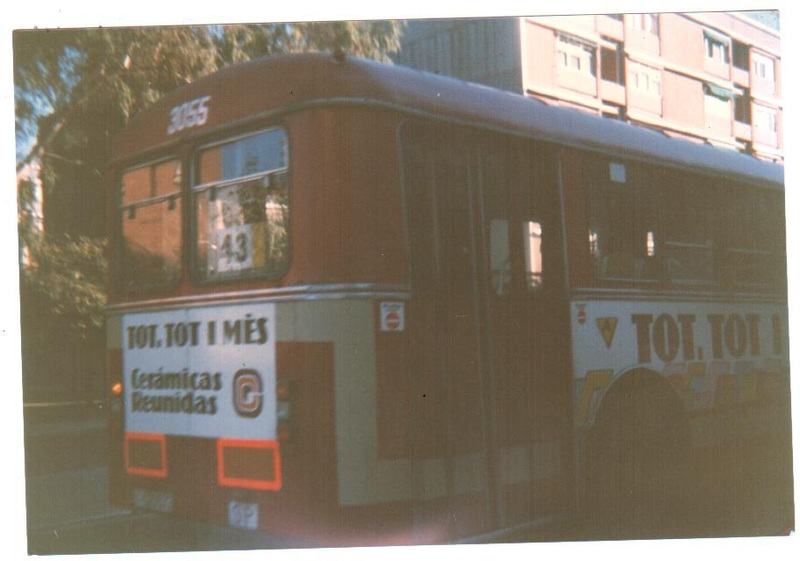 Nº 3055 was affected by this reform and its body is from Noge instead of the original Hugas body. 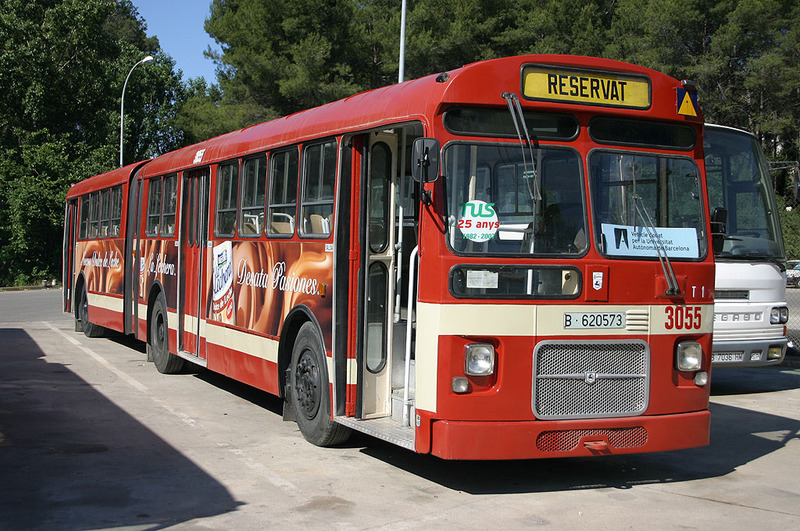 During 1989 nº 3055 was withdrawn from TMB and went to the Universitat Autònoma of Barcelona (Bellaterra) providing shuttle service for the university campus. 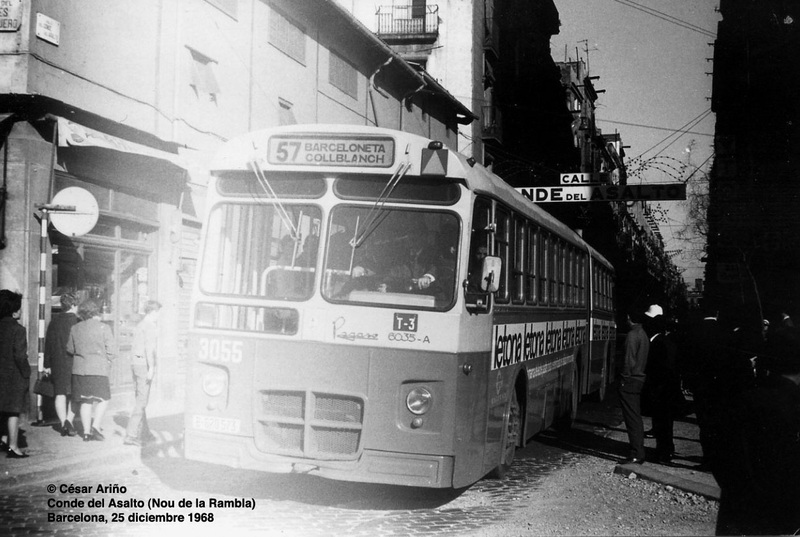 This service linked the Cerdanyola railway station with the campus. 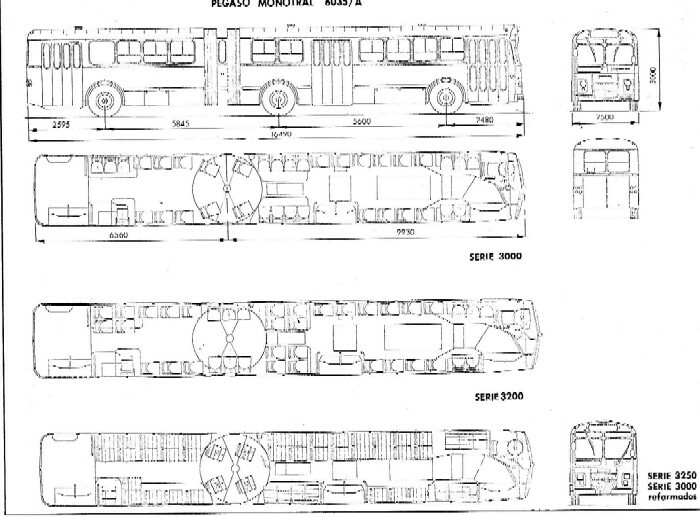 This short and sometimes heavily crowded route required the buses to be slightly modified: loss of some rows of seats, suppression of requested stop lights, and due to lower temperatures loss of the lower front window to make room for a heating system for the interior. 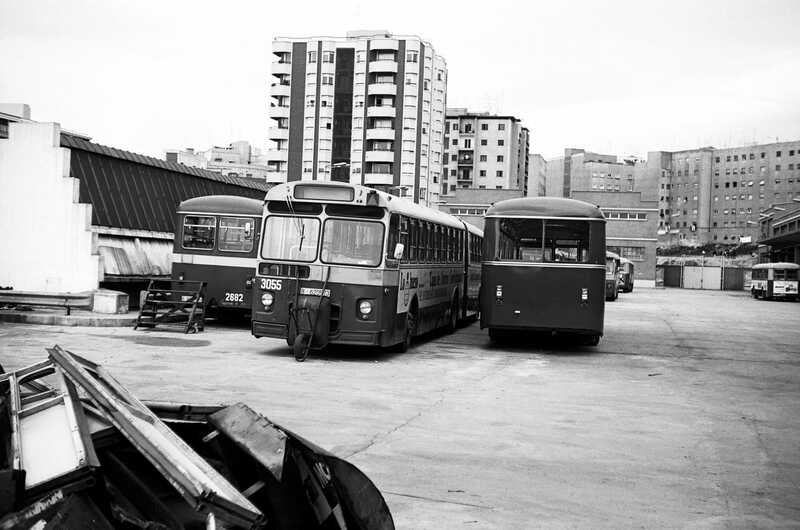 Later on Ferrocarrils de la Generalitat de Catalunya (FGC) and RENFE opened stations inside or close to the Campus which, together with the arrival of “new” TMB buses Pegaso 6420 Enasa and Mercedes O405G bodied by Unicar, meant the withdrawal of some buses, including nº 14 (former-TMB 3055) during year 2003. 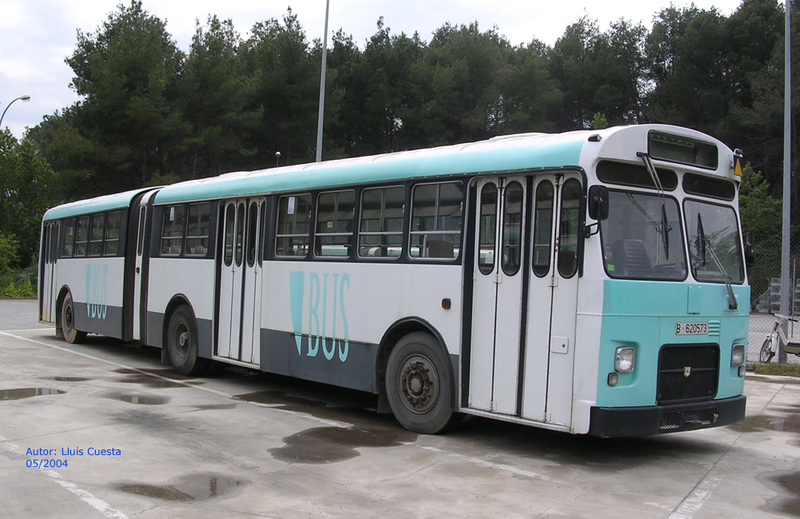 UAB has given to ARCA as much help and facilities as possible in order to carry the preservation tasks for this bus. 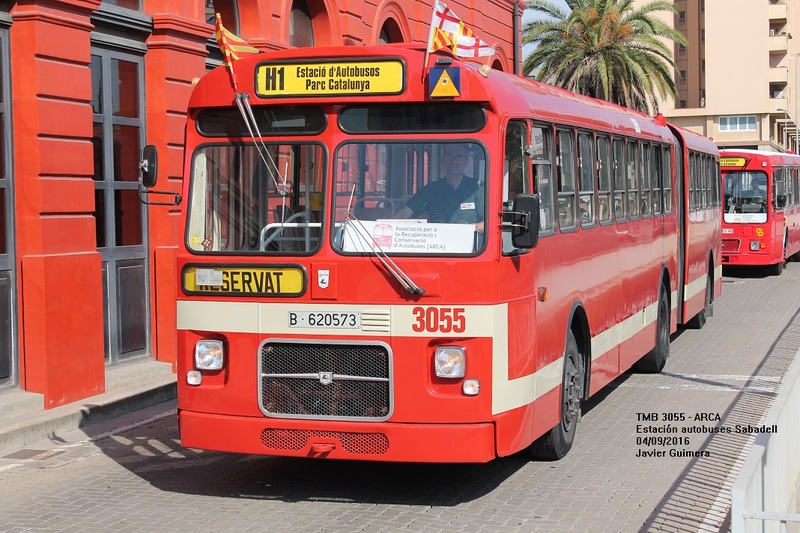 From 2003 on ARCA has worked in the restoration of this vehicle so as to return it to the aspect that it had during TB’s period. 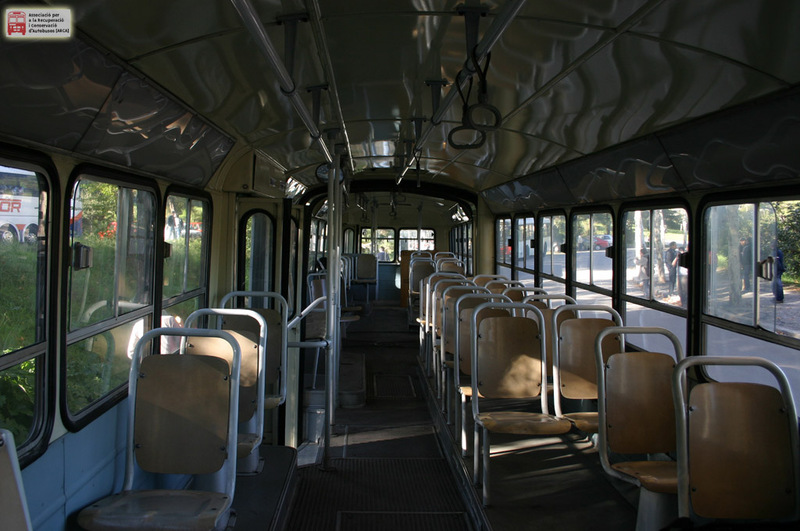 You can see the evolution of the works in this gallery. 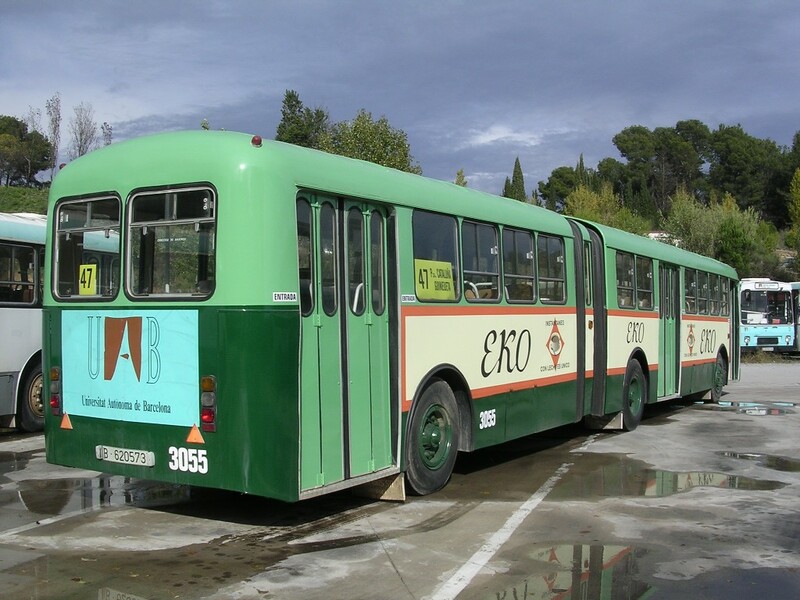 During year 2005 the bus participated in the shooting of the movie “Salvador”, which allowed the bus to be repainted in the two-tone green “Porcioles” livery and the placement (provisional) of round headlamps and Pegaso front-grille cross. 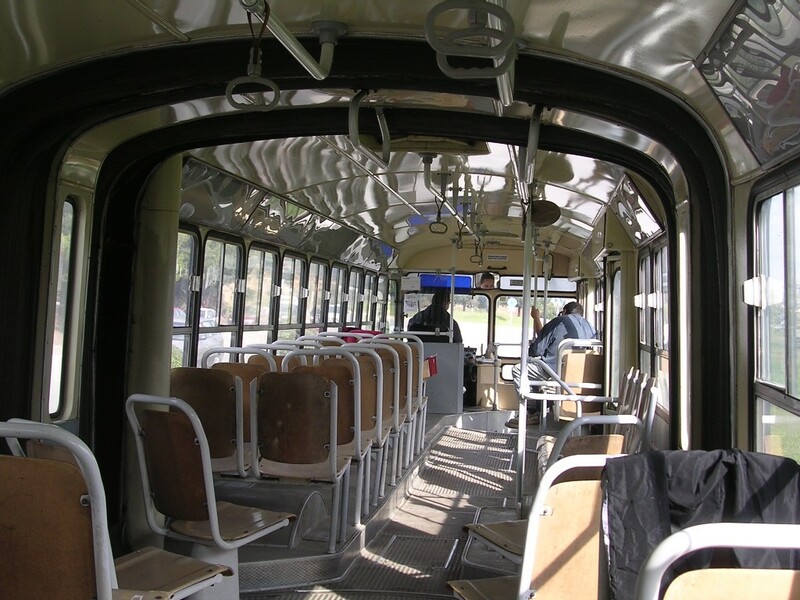 It also recovered the conductors ticket box and all its wooden white seats. 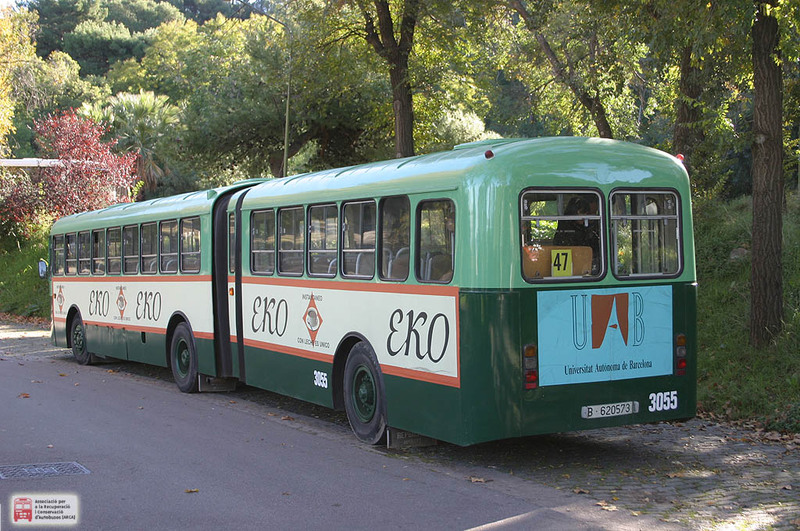 Until july 2006 its external aspect remains as green “Porcioles”, square headlamps and front chromed grille. 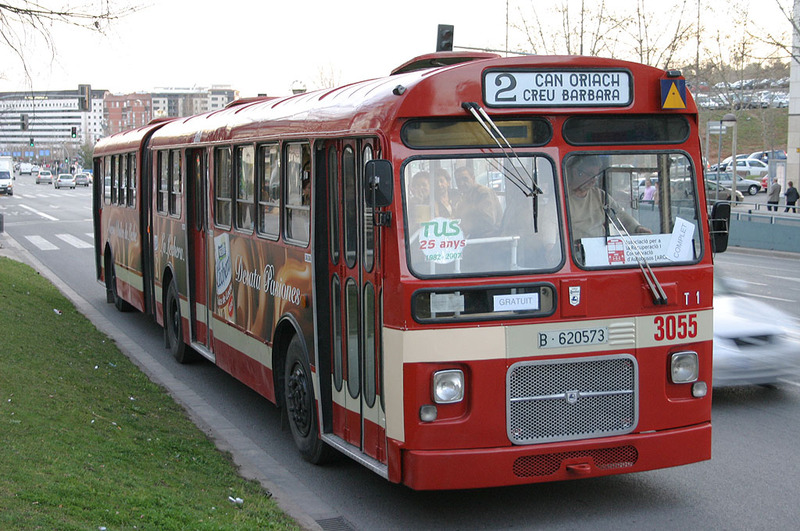 During august 2006, ARCA, with TMB’s help, repainted the bus in the red-cream livery, matching the front grille, square headlamps and interior arrangement. 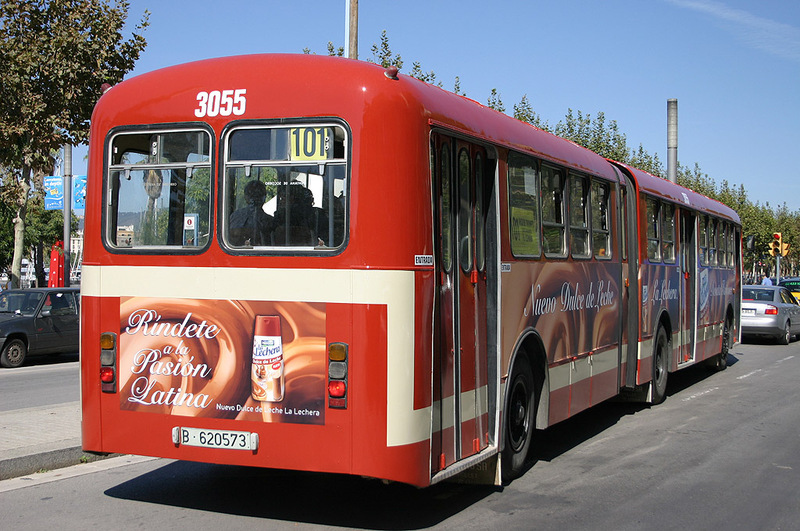 The presentation of the new livery took place during the celebrations of Barcelona’s Bus Centenary. 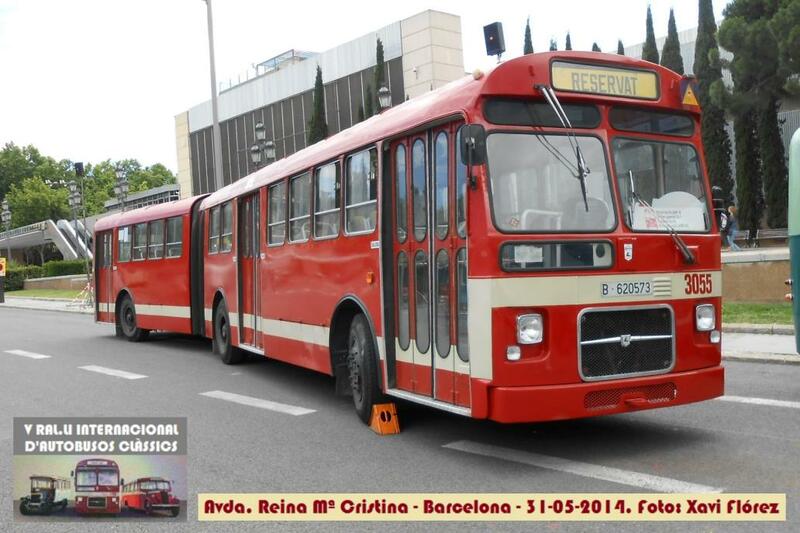 This bus is in perfect state taking a part regularly in the activities of the association ARCA. 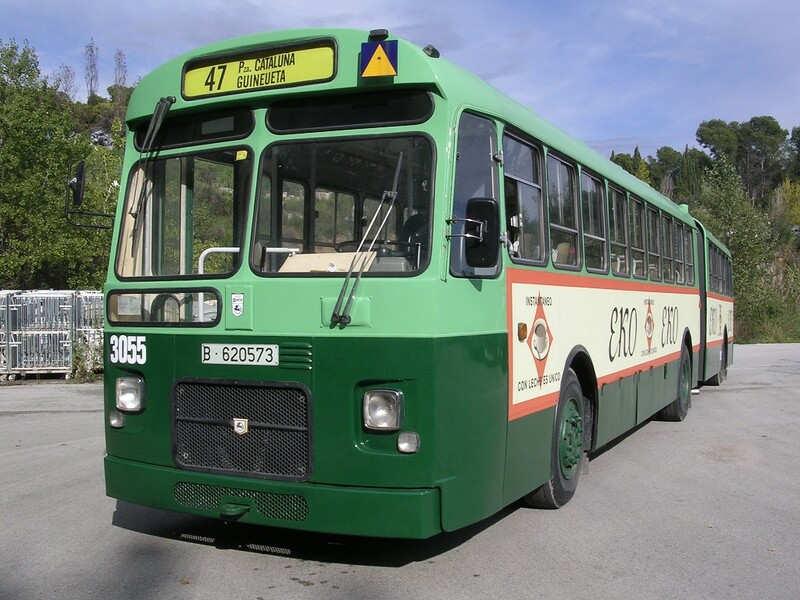 During year 2012 a new overhauling was necessary, including a new coat of paint, repairs that took place during year 2013.